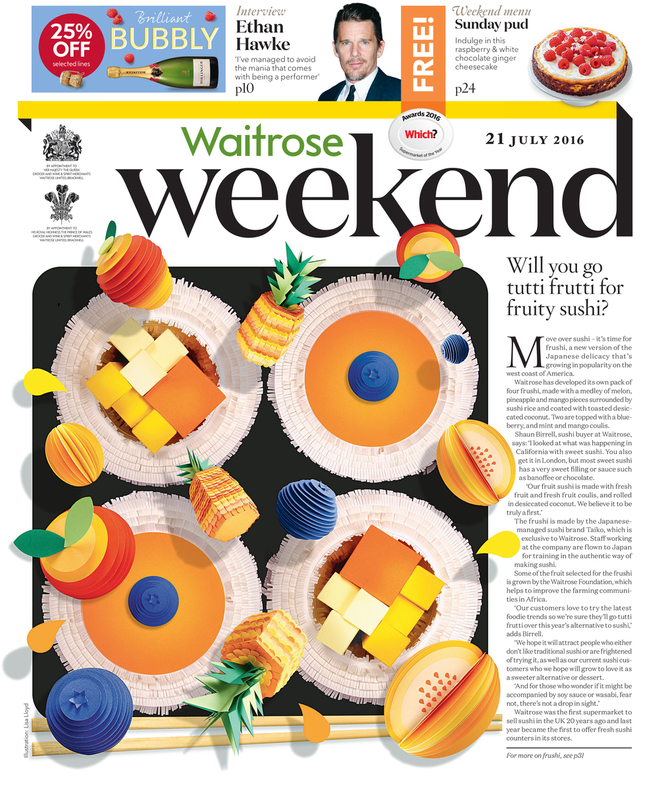 Waitrose Weekend Magazine asked me to create an illustration of their new 'Frushi' product, fruit sushi! Instead of fish the rolls are filled with pineapple, melon and other fruit; surrounded by coconut. Delicious!